Check out the #1 New York Times bestseller Big Little Lies by Liane Moriarty, called "a surefire hit" by Entertainment Weekly. "The secrets burrowed in this seemingly placid small town...are so suburban noir they would make David Lynch clap with glee...[Moriarty] is a fantastically nimble writer, so sure-footed that the book leaps between dark and light seamlessly; even the big reveal in the final pages feels earned and genuinely shocking." 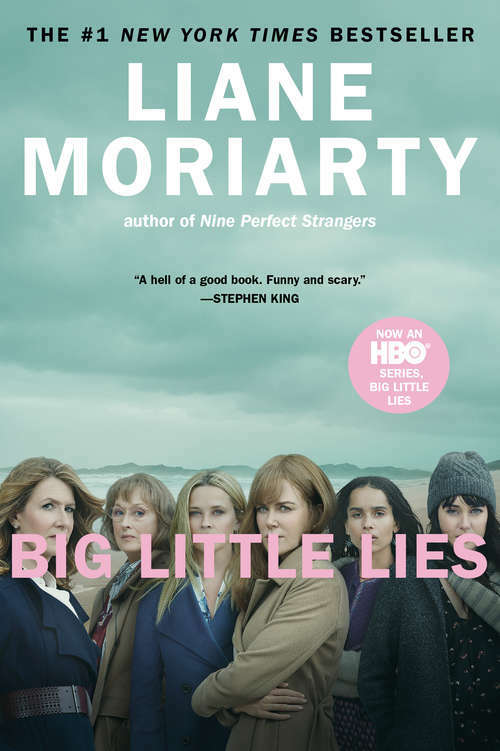 --Entertainment Weekly"Reading one [of Liane Moriarty's novels] is a bit like drinking a pink cosmo laced with arsenic... [BIG LITTLE LIES] is a fun, engaging and sometimes disturbing read" -USA TodaySometimes it's the little lies that turn out to be the most lethal. . . .A murder... . . . a tragic accident... . . . or just parents behaving badly? What's indisputable is that someone is dead. But who did what? Big Little Lies follows three women, each at a crossroads:Madeline is a force to be reckoned with. She's funny and biting, passionate, she remembers everything and forgives no one. Her ex-husband and his yogi new wife have moved into her beloved beachside community, and their daughter is in the same kindergarten class as Madeline's youngest (how is this possible?). And to top it all off, Madeline's teenage daughter seems to be choosing Madeline's ex-husband over her. (How. Is. This. Possible? ).Celeste is the kind of beautiful woman who makes the world stop and stare. While she may seem a bit flustered at times, who wouldn't be, with those rambunctious twin boys? Now that the boys are starting school, Celeste and her husband look set to become the king and queen of the school parent body. But royalty often comes at a price, and Celeste is grappling with how much more she is willing to pay.New to town, single mom Jane is so young that another mother mistakes her for the nanny. Jane is sad beyond her years and harbors secret doubts about her son. But why? While Madeline and Celeste soon take Jane under their wing, none of them realizes how the arrival of Jane and her inscrutable little boy will affect them all. Big Little Lies is a brilliant take on ex-husbands and second wives, mothers and daughters, schoolyard scandal, and the dangerous little lies we tell ourselves just to survive.